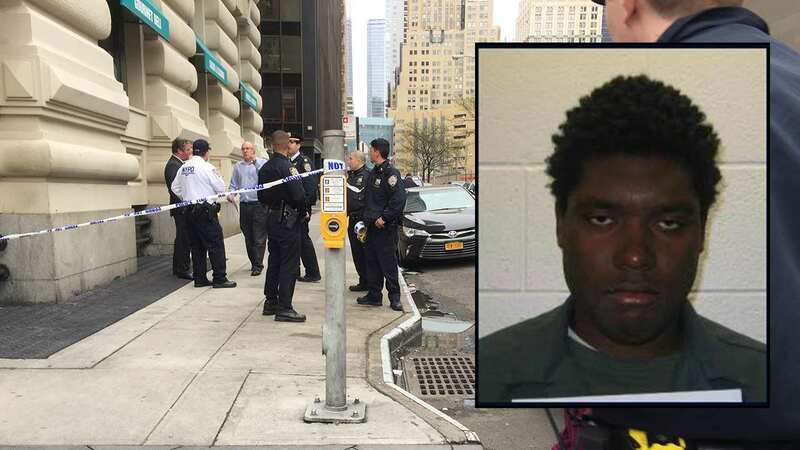 BATTERY PARK CITY, Manhattan (WABC) -- A man is in custody in connection with a shooting in Lower Manhattan that left an innocent bystander wounded. The incident happened around 3 p.m. Monday on Washington Street, just steps from Battery Park, in an apparent dispute between ticket scalpers. Police say Jason Wright, who has 24 prior arrest including a 1997 murder conviction for which he spent 10 years in prison, was taken into custody Thursday. He is charged with attempted murder, assault and criminal possession of a weapon. The shooting appeared to stem from an ongoing dispute between scalpers selling overpriced tickets for cruises to the Statute of Liberty and Ellis Island. Authorities say the stretch of Washington Street where the shots were fired is a known location for the ticket sellers to congregate. "We believe they are the individuals who were selling tickets down there," NYPD Chief of Detectives Robert Boyce said. "We don't know the exact cause of the dispute, but we believe it is over ticket selling." Earlier this week, the NYPD released photos of the two men involved in the shooting, and a Crime Stoppers tip apparently led to the arrest. Police are looking for two men in a shooting near Battery Park. Police say the shooting took place about an hour after the initial dispute, with the two men got physical with each other on the street. A 34-year-old woman who was returning from her lunch break was shot in the left knee and was taken to New York Downtown Hospital in stable condition. "A young lady, who was shot in the leg, she is now undergoing treatment," Boyce said Tuesday. "She's not likely to die, but she is undergoing some surgery this morning." The other man involved was grazed in the torso, and he was found by police in a car driving across the Brooklyn Bridge shortly after the incident. He was treated at Long Island College Hospital.